On Friday, the domestic unit declined by 12 paise to close at 68.95 on the rise in demand for the greenback from importers and sell-off in domestic equities. The rupee opened 11 paise lower at 69.06 against the US dollar on Monday. 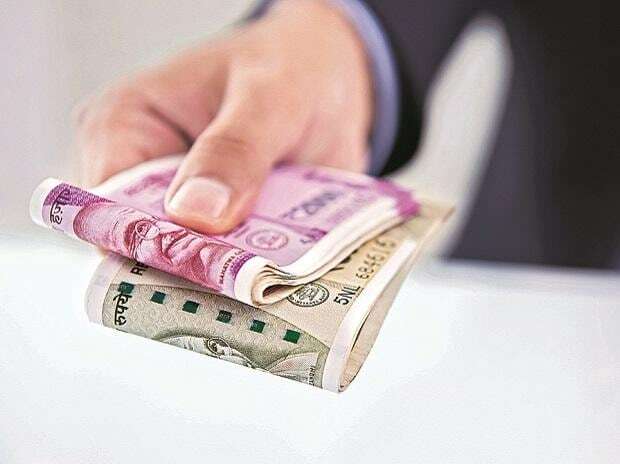 On Friday, the domestic unit declined by 12 paise to close at 68.95 on the rise in demand for the greenback from importers and sell-off in domestic equities. However, the domestic currency gained 15 paise during the week. This was also the sixth consecutive week of gains for the local unit. Nirmal Bang Securities in its daily currency report says, "On the daily chart, the USD/INR pair has marked a long bullish candle. It is currently trading below all its important moving averages. If the pair breaks the 69.10 level on the higher side, buying can be initiated towards 69.25/69.35." "Traders would look to be long on the rupee and to switch out of export-oriented sectors and move into financials and rate-sensitive areas," Datta added. Foreign investors have poured in a net amount of Rs 38,211 crore in the domestic capital markets in March so far, mainly on account of improved global liquidity. On the global front, stocks tumbled on growing fears about a US recession. US stocks futures fell, with E-minis for the S&P 500 skidding 0.5 per cent. MSCI’s broadest index of Asia-Pacific shares outside Japan dropped 1.4 per cent to a one-week trough in a broad sell-off in equities in the region, Reuters reported.